Richard Dawkins is the bestselling author of The Selfish Gene and The God Delusion. He’s also a pre-eminent scientist, the first holder of the Charles Simonyi Chair of the Public Understanding of Science at Oxford, and is a fellow of New College, Oxford. Called “Darwin’s Rottweiler” by the media, he is one of the most famous advocates of Darwinian evolution. His most recent book is The Oxford Guide to Modern Science Writing, a collection of the best science writing in the last century. This is the first in a series of podcasts we’ll be running from an interview with Richard Dawkins. 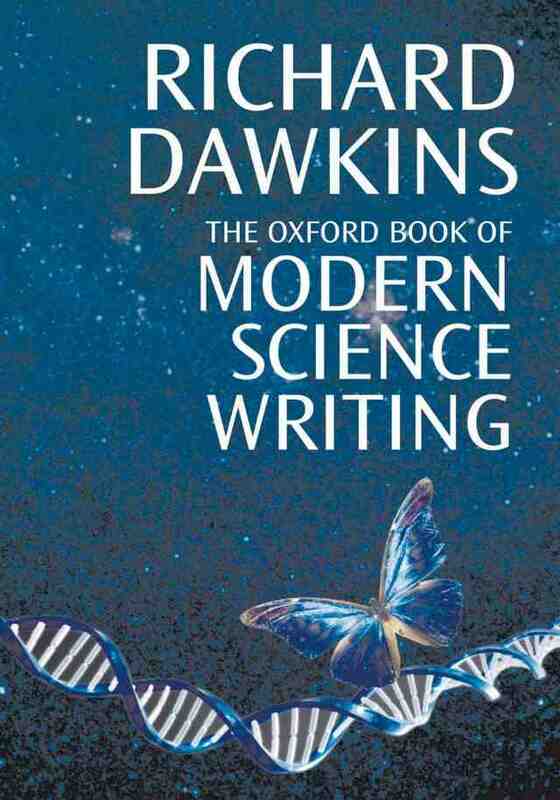 In it, Dawkins talks about the different scientists he chose to include in The Oxford Book of Modern Science Writing. In this selection, Dawkins talks with Dorian Devins about James Watson and Francis Crick, the two men famous for discovering the structure of DNA. [audio:watsoncrick2.mp3] Transcript after the jump. RICHARD DAWKINS: Yes, I met him a couple of times. I know Jim Watson rather better. Francis Crick died a couple of years ago. He was of course the other half of Watson and Crick, and they were both indispensable. It’s a wonderful illustration of how two people coming together seem to make something that’s greater than the sum of their parts. Francis Crick has written a number of books. He’s always very thoughtful, very stimulating. It’s impossible for him to say anything that isn’t interesting, and he was one of the great, possibly the greatest, intellects of the molecular biology revolution, which started with Watson and Crick in 1953, when they were both young men. But Crick went on to in a way dominate the field. I mean, in the elucidation of the genetic code, the fact that it’s a triplet code, for example, he played a leading role in that. So he became a kind of elder statesman of molecular genetics, and then rather later in his life, he switched completely to a totally new field, which was the study of consciousness. And he was never really a proper neurobiologist, but he sort of somehow managed to well, use his eminence in the field to open doors to talk to neurobiologists. And once again, he was a very, very thoughtful, stimulating figure in that field, as well as his own field of molecular genetics. DAWKINS: Yes he did stick with genetics, and Watson was pretty much involved in initiating the human genome project. He didn’t stay in the human genome project, but he was largely responsible for getting it started in the first place. DEVINS: And their writing styles are so different. It’s interesting. DAWKINS: Yes, well, that’s right. Watson’s writing style is amazingly readable, but very odd. I mean, it’s…any teacher of English would blue-pencil it straight away. He had a most weird tendency to stick strings of adjectives before a—not so much adjectives, more phrases that count as adjectives—so he’ll say, if he wants to say he walked by, well quite close to here is Keble College (which is the Victorian building designed by Butterfield), Watson will say “I walked by the Butterfield-designed Keble College.” Sticking an adjective, making a phrase into an adjective, and then sticking it before the noun. And it’s an odd way of writing, but for some reason, it’s very readable, and I find that his books are page turners in a way that any teacher of English would sort of veto. DEVINS: It’s funny how the personalities come out in the writing sometimes. DAWKINS: Yes, that’s true. I think it’s part of the personality, and I think it’s because Watson writes in such an irresponsible way. He doesn’t mind who he offends, and so you’re always kind of turning the page, waiting for the next bit of scandal really. DEVINS: As he is in life.